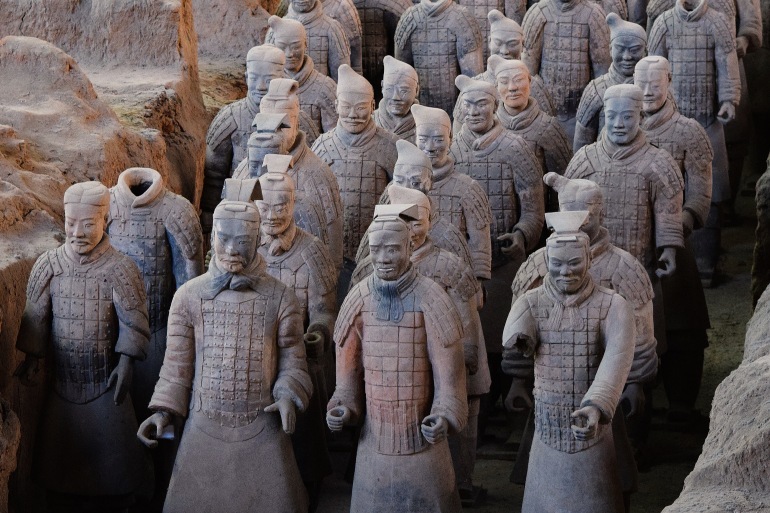 With only 16 guests or fewer, you’ll have a better vantage and more time at the Terra Cotta Army. Feel the ancient rhythms of Xian as you explore the Muslim market with an engaging, savvy resident. Delve into the traditional ways of China when you meet tea farmers at their home near Hangzhou. An intimate stroll along historic Pingjiang Road is the best way to appreciate the splendor of Suzhou’s centuries-old Song Dynasty architecture. No reviews yet for this trip. Browse other reviews below for Alexander + Roberts. They took very good care of me as I was a woman traveling alone, never once did I worry about a thing. It was extraordinary. I am using them again to go to Japan. Truly enjoyed the Yangtze river cruise. A magical journey with a wonderful tour director! I thought the hotel was the best in Havana - it was excellent quality. The food stops were very good. I learned so much about Cuba and her people due to the great places we visited - for instance, spending the morning at a health clinic and shopping for the evening meal at the local market. Delighted by the opportunity to do/see things we would not know of on our own. Delighted by the kindness of our drivers and guides also they were always on time. Everything ran like clockwork except one of our inter Costa Rica flights was cancelled at the last minute. The local Alexander & Roberts contact was very apologetic and was able to book us a private charter flight to get us to our next destination on time. We were really pleased with this high level of service. Check in to your city central accommodations at the 5-star Fairmont Beijing where a luxury room awaits. Start your day with the Sofitel’s Bistro Buffet breakfast, featuring a tempting selection of Asian and Western cuisine, and then tour Tiananmen Square and the magnificent Forbidden City. Explore by rickshaw through the narrow lanes of a hutong and sit down to lunch with a local family in their home here in this traditional city neighborhood. This congenial encounter promises genuine insight into the challenges and rewards of balancing ancient traditions with modern city life. This evening, savor a bountiful Peking Duck banquet. Journey into the mountains north of the capital and ascend by cable car to walk with your guide atop the Great Wall - an unforgettable experience! Then tour the lovely Summer Palace, erstwhile seasonal retreat of China’s mighty emperors. Fly to Xian where you’ll be met and escorted to the Hilton Hotel, perfectly situated within the ancient walls of the city. Join an in-the-know city resident to explore a colorful local market, popularly known as the Muslim market. He’ll be at your side guiding your discovery as you peruse the wide variety of products and sample exotic fare from the many vendors. Tonight’s dinner features savory dumplings. Tour the excavation site of the Terra Cotta Army, China’s greatest archaeological discovery, and visit the ancient defensive walls of the city. Fly to Hangzhou and transfer to the stylish JW Marriott. Cruise on beautiful West Lake and then spend time with tea farmers in their fields outside of the city. From preparing the soil to picking the tea leaves, this hands-on experience is a fun way to learn about the generations-old techniques that ensure the esteemed quality of the region’s fine teas. It’s off the beaten path but this morning’s visit to Wuzhen, a 2,000-year-old town, reveals some of China’s most finely preserved Ming Dynasty homes. Continue on to Suzhou and check in to the first class Renaissance Hotel. Tour the exquisite Garden of the Master of the Nets c and stroll with your guide along historic Pingjiang Road, graced with splendidly-preserved Song Dynasty architecture. Learn about traditional Chinese pastimes as you browse the exotic Bird & Flower Market and join city residents to fly your own kite at the historic Panmen City Gate. Learn how silk is made at a local factory before continue on to cosmopolitan Shanghai where you check in to the city central Fairmont Peace Hotel. Tour the vast collection of the Shanghai Museum and enjoy a guided stroll along the historic waterfront Bund. Marvel at the iconic 21st-century skyscrapers of the dynamic Pudong district and explore the ancient lanes of Tianzifang, now home to some of the city’s most popular boutiques and studios. Tonight, join your fellow travelers for a farewell dinner of fine regional cuisine. Your program with us finishes after breakfast. A non-refundable deposit of $1000 per person is due within 7 days of booking. Final payment is due 30 days prior to departure. This affordable easy-to-add Tour Extension includes your flight from Shanghai to Hong Kong, 3 nights at our stylish city-center hotel, daily breakfast, lunch at Jimmy’s Kitchen and our unique Be a Hong Kong Insider full-day tour. Our 3-day FreeStyle Travel package includes a choice of fine hotels, daily breakfast, full day sightseeing with Li River cruise and private car airport transfers. Cancellations for are subject to penalties of $1000/person up to 31 days, and 100% of program price if cancelled within 30 days. Alexander+Roberts offers a Travel Protection Plan that provides protection for your travel arrangements, your belongings and most importantly, you. Please see our Travel Insurance page for complete details.